In 1994, in the newly independent state of Uzbekistan, a party of mostly British tourists is on a day excursion from the fabled city of Samarkand when Muslim fundamentalists hijack their bus. Unknown to the hijackers, this particular group contains recently retired ex-SAS sergeant Jamie Docherty, and the rebellious daughter of the British Foreign Minister, already a tabloid favourite back home. 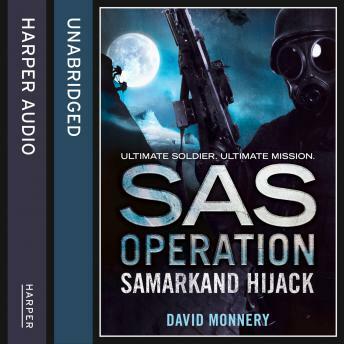 Uncertain how to respond to the terrorists' demands, the Uzbekistan government accepts a British offer of assistance: two members of the SAS crack Counter Revolutionary Warfare wing are dispatched to Samarkand, with instructions to liaise with the local ex-KGB unit. As the negotiations drag on, in the mountain fortress prison Docherty must call on all his formidable expertise and ingenuity to keep his fellow hostages alive, and to prepare them for a prospective rescue mission. The only force likely to have any chance of successfully penetrating the fortress and liberating the prisoners will be a group led by men of the legendary Special Air Service - the SAS!